Bosch Front Wiper Superplus Blade. FLAT FRONT WIPER BLADE. GENUINE BOSCH PART. Part Manufacturer:BOSCH ŚWIECE/PRZEWODY 0 241 235 756. Spark plug (price for 1 item). The faster, safer way to send money. VW SCIROCCO (53B) COUPE 1.8 16V 129 HP PL 1986.03-1992.07. VW POLO CLASSIC (6KV2) SALOON 90 1.8 90 HP ADZ, ABS, ADD 1997.01-2001.09. Part Manufacturer:BERU Z 12 0001335709. 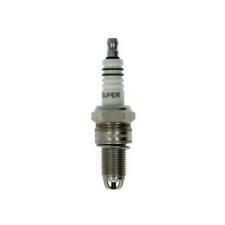 Spark plug (price for 1 unit) ULTRA. LANCIA DELTA II (836_) HATCHBACK 2.0 16V TURBO (836AB) 186 HP 836 A2.000 1993.06-1999.08. VW SCIROCCO (53B) COUPE 1.8 90 HP EX 1983.08-1992.07. Part Manufacturer:BERU Z 42 0001345702. Spark plug (price for 1 unit) ULTRA. LANCIA GAMMA (830_) HATCHBACK 2500 140 HP 830 A4.000, 830 A.000 1978.03-1986.10. LANCIA GAMMA coupe (830_) COUPE 2500 140 HP 830 A4.000, 830 A.000 1977.09-1986.10. Part Manufacturer:CHAMPION OE010/T10. RENAULT TRAFIC Nadwozie pełne (T1, T3, T4) BOX 1.7 68 HP F1N 724 1986.06-1989.04. RENAULT TRAFIC Nadwozie pełne (TXX) BOX 1.7 68 HP F1N 720 1992.08-1994.08. The faster, safer way to send money. Part Manufacturer:NGK BUR6ET 3172. Spark plug (price for 1 item). VW POLO Nadwozie pełne (6NF) BOX 1.4 60 HP AEX, APQ 1998.05-1999.12. VW TRANSPORTER III Nadwozie pełne BOX 2.1 112 HP DJ 1986.03-1992.07. Part Manufacturer:NGK V-LINE NR1 2876. 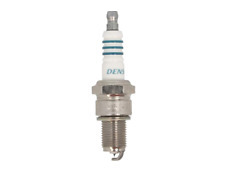 Spark plug (price for 1 item). LANCIA DELTA II (836_) HATCHBACK 2.0 16V TURBO (836AB) 186 HP 836 A2.000 1993.06-1999.08. VW TRANSPORTER III Autobus BUS 1.9 60 HP DF 1982.08-1992.07. VW GOLF II (19E, 1G1) HATCHBACK 1.3 CAT 55 HP NZ, 2G, MH 1986.06-1992.12. VW GOLF II (19E, 1G1) HATCHBACK 1.3 55 HP HK, MH 1983.08-1987.06. VW GOLF II (19E, 1G1) HATCHBACK 1.8 GTI 107 HP RD 1985.08-1987.10. LADA SAMARA (2108, 2109, 2115, 2113, 2114) HATCHBACK 1100 58 HP BA3 21081 1996.02-1999.08. LADA SAMARA (2108, 2109, 2115, 2113, 2114) HATCHBACK 1100 53 HP BA3 21081 1988.02-1994.12. LADA OKA (1111) HATCHBACK 0.8 35 HP B6113E 1988.02-2008.12.